Skewer a tomato half, then a mozzarella ball on a wooden pick. Continue until all of the tomatoes and mozzarella cheese balls have been used. Combine balsamic vinegar and sugar in a small saucepan and set over high heat and bring to a boil. Boil for one minute or until mixture begins to thicken slightly. Cool. 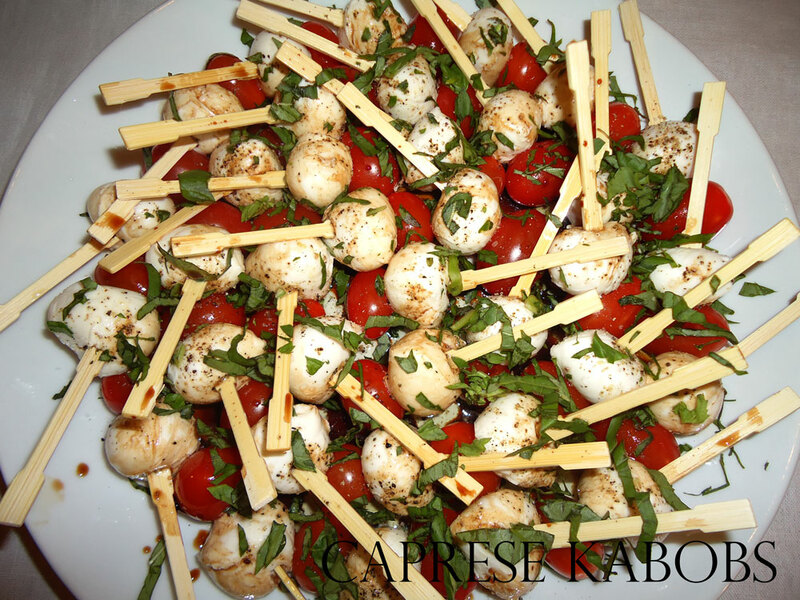 Place skewers on a platter and drizzle with olive oil and balsamic syrup. Sprinkle with salt and pepper and fresh basil.